Following the high-profile suicides of musicians Chris Cornell and Chester Bennington, more people are openly discussing the dangers of depression and why the symptoms shouldn’t be ignored. To try and help those in the US who may be suffering from the illness, Google is offering a screening questionnaire for clinical depression to those who search for the condition on their smartphones. The company has partnered with the US National Alliance on Mental Illness (Nami) for the project, which will offer those who conduct mobile Google searches for “depression” the chance to check if they’re clinically depressed. The PHQ-9 questionnaire is anonymous and clinically validated to test a person’s likely level of depression, though Nami warns it’s “not meant to act as a singular tool for diagnosis.” It could, however, encourage people to seek help. 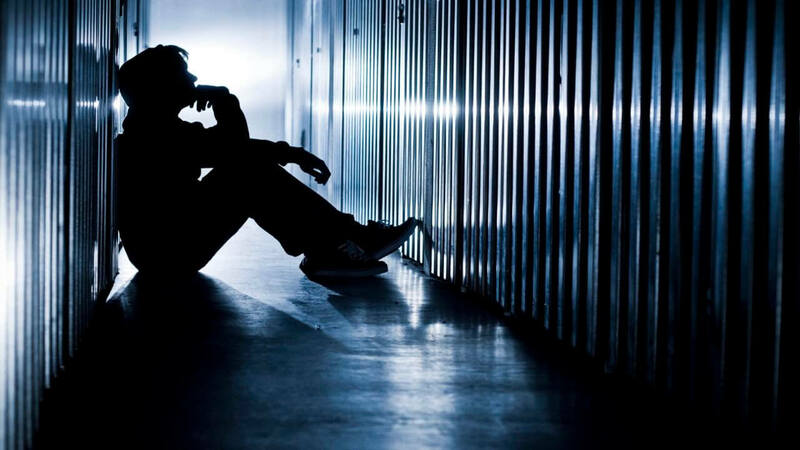 While episodes of clinic depression affect around one in five people in the US during their lifetimes, only 50 percent of Americans who suffer from it receive treatment. And most people who do show signs such as anxiety and fatigue wait an average of six to eight years before receiving help. Google and Nami want to raise awareness of the issue and hope the questionnaires' results will see people “have a more informed conversation” with their doctors. With Google now being the first place many people turn when investigating their illnesses and symptoms, the diagnostic tool’s nine questions could be enough to convince sufferers they need to see a professional. I've never met a tough person with an easy past. Depression comes from having it too easy and not having the ability to appreciate everyday things most people take for granted. A warm meal, roof over your head and a comfortable place to sleep are things every person should be truly grateful for. Our culture inhibits strength of relationships and allows people to relieve stress in ways that are not beneficial to them or society. Life it a tough, messy, difficult process and truly rewarding things like love, job satisfaction and strength of relationships take time, sometimes years, and if you don't ask for help you will fail. Depression is not an illness, anymore then being happy is an illness. It's a result. I have to disagree with you. I get what you are saying but depression is an actual chemical imbalance. I know that there are a lot of people (mostly younger) that claim to have depression but really they are just depressed. In part probably because of what you stated. I do agree the best (tough, strong, kind, happy, caring, etc.) people I know have been through some really difficult life events. Not saying that we should all go seek out terrible things to happen to us, but rather it is how we choose to react when something happens to us and how we learn from it. liammac002, Daithi, Kibaruk and 1 other person like this. I have to disagree with you. I get what you are saying but depression is an actual chemical imbalance. .
(1) Depression is the result of a “chemical imbalance”. The idea that a chemical imbalance, or, more specifically, that depression can be reduced down to levels of serotonin has completely distorted the relationship between brain chemistry and depression. This simple way of reducing a complex mental illness into a series of neurotransmissions (or lack thereof) in the brain has been perpetuated by pharmaceutical companies that tout their products as the ultimate “quick fix” for depression. Psychiatrists and researchers of depression have yet to isolate specifically the relationship between all the different neural connections and firings of our brains and depression. In fact, the notion of serotonin being the chief biological basis or the underlying root for the illness is, “a reductionistic oversimplification of a very complex biological state” (Greenberg, 2010, p. 197). Tangent Thought: Don't you wish we could more easily access published scientific articles? waterytowers and Reehahs like this. A huge issue in our society is that research companies are out there for profit. This leads to a community which doesn't share unless there is profit to be made. Health in my view should not be about profit. We need a way to reward inventors/investors which facilitates an open sharing community to make all of society better. Maybe allow a fixed profit margin for the wholesale price until research costs plus X% are recovered to allow future research and importantly an upfront bonus to the inventors which is usually a team. Once the max is reached the profit allowed should be reduced. This could replace the need for patents that expire after a set period, as the period is now defined in terms of return to inventors. Just a thought bubble? I have been trying to figure out a solution for a while, off and on. The only thing I could figure is if someone super rich who did not know what to do with their money could help with funding to allow it to be accessible to the general public.